Toni Kroos said his last-gasp winner to seal a dramatic 2-1 win for Germany over Sweden that kept the holders' World Cup dreams alive made amends for his earlier mistake. The midfielder's mistimed pass led to Ola Toivonen's first-half goal for Sweden. However, Germany clawed their way back in Sochi with Marco Reus netting early in the second half before Kroos swung in a free-kick in the fifth minute of added time on Saturday. "Of course, the first goal (by Sweden) was my fault. When you put in 400 passes in a game, then one or two won't go where they should," said Kroos. 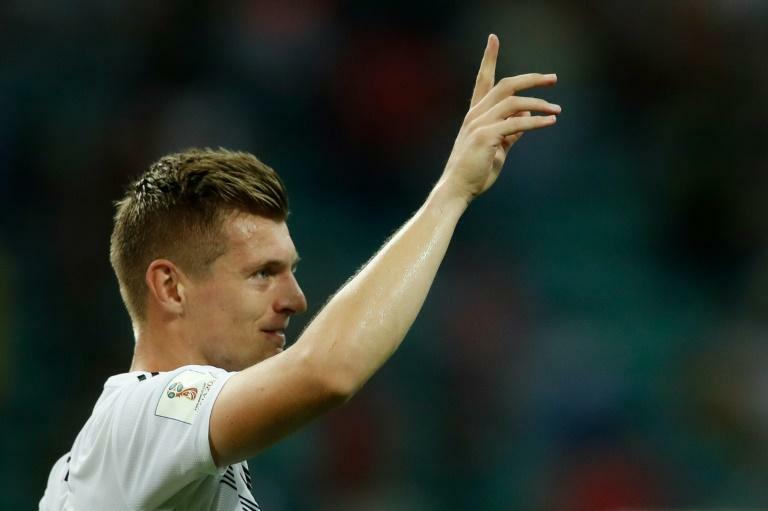 After losing their opening match in Group F to Mexico, Germany next face South Korea in Kazan on Wednesday, targeting a win as they seek to progress from a group in which all four teams could still qualify. "Now we have to recover and we don't have much time before we have to beat Korea, when we have to play convincingly," said Kroos. Germany, who had centre-back Jerome Boateng sent off for a second yellow card on 82 minutes, were far from convincing. The defending champions put in a nervous display after a barrage of criticism following defeat by Mexico. "We were criticised a lot, justifiably so in part, and a lot of people in Germany would have been pleased if we had gone out today," said Kroos, who admitted there is still room for improvement. "Overall, we once again had phases where we played really well and didn't use our chances." Reus, whose goal sparked Germany's fightback at the start of the second half, hailed Kroos's last-gasp strike. "Toni's shot, what can you say about that?" said Reus. "At this World Cup, a lot of goals have come at the end (of games) and today luck was on our side. "We started well, but didn't have that many clear chances. Sweden did well, were very compact and tight in defence. "It's hard to say why we made the error, Toni made the mistake, but smoothed things out and did everything right in the end." Germany forward Thomas Mueller said the holders were rewarded despite having their backs to the wall for most of the match. "We put everything into it and were rewarded at the end," beamed Mueller. "True, we were a man down, but we tried, didn't give up and said that we had to stay with it until the last second. Sometimes you get your reward."